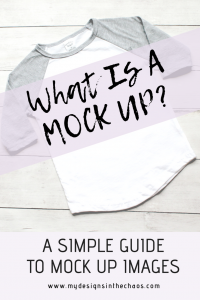 Simply put a mock up is a photograph of a blank physical product with a digital image placed on top. It gives the illusion that the shirt (or cup or bag, etc.) is already made, but you don’t have to actually use any of your supplies till the item is ordered. Utilizing these are very beneficial in your business when you are first starting out. They can be a huge cost and time saver. Why go to the trouble to make a shirt if you aren’t sure how many, what size, or even if it will sell? There are a couple things I want to caution you on though before you go all in on mock ups. Make sure you use the exact style of shirt on the finished product as you have displayed in the picture. Use colors on your graphic that you can replicate on your finished product. Once you have sold 1 of the item, make sure to replace the mock up with a picture of your true work. This will help to increase buyers trust in your products. 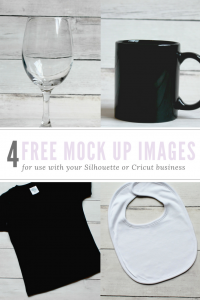 There are tons of great spots to purchase quality mock ups. Check out our favorite spots here. And as a bonus, we have linked 4 free ones below for you to download. We also have some super cute (and some free) SVG files that would look awesome on these mock ups 😉 . Make sure to head over and check out our SVG shop too. Please Note: You are more than welcome to use these mock up images for your own items. I do request that you do not re-sell these images and instead of sharing the image, please direct them here to the site to download for themselves. Thank You! 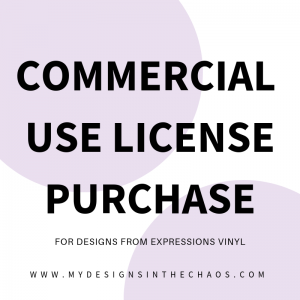 We can’t wait to see what your designs look like on your mock ups and we always appreciate if you pin our items to help spread the crafting love! Happy cutting, crafting, and chaos! You must have read my mind and felt my frustration! For the life of me, I can’t find my mock ups on my computer. I have a feeling that I accidentally deleted the whole folder. ? I’ve been searching for days. Now, at least, I have something to start my files over again. Thank you from the bottom of my heart … and thank you from my family who are probably getting tired of hearing me lament over this! ? So glad to help! 🙂 Have a wonderful holiday season!